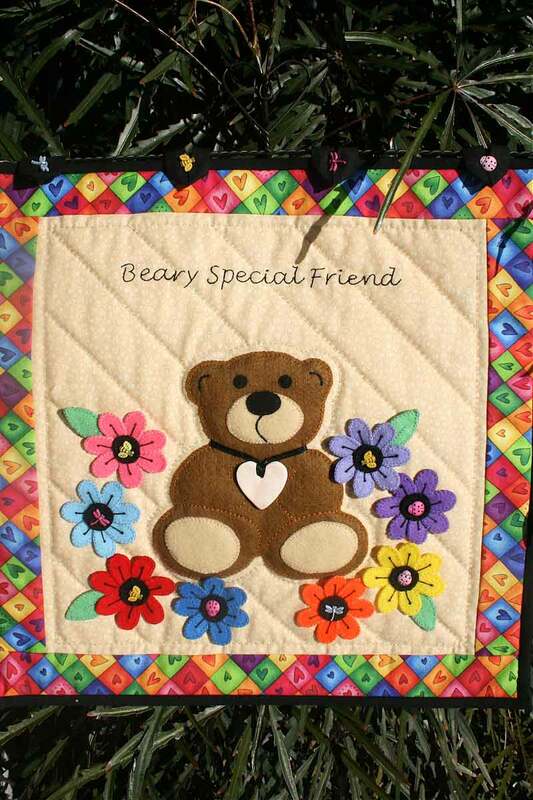 This wall hanging is one of a series of 3 wall hangings called "Furry Friends". The wall hangings feature felt and frequently used embroidery stitches. Included is one of our beautifully handmade Annie Lane Buttons. The finished size of the wall hanging is 28cm x 33cm (11" x 13").